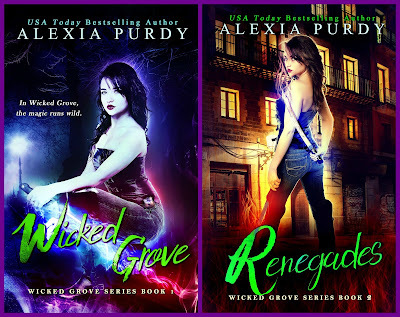 What's going on with Renegades (Wicked Grove Book II)? 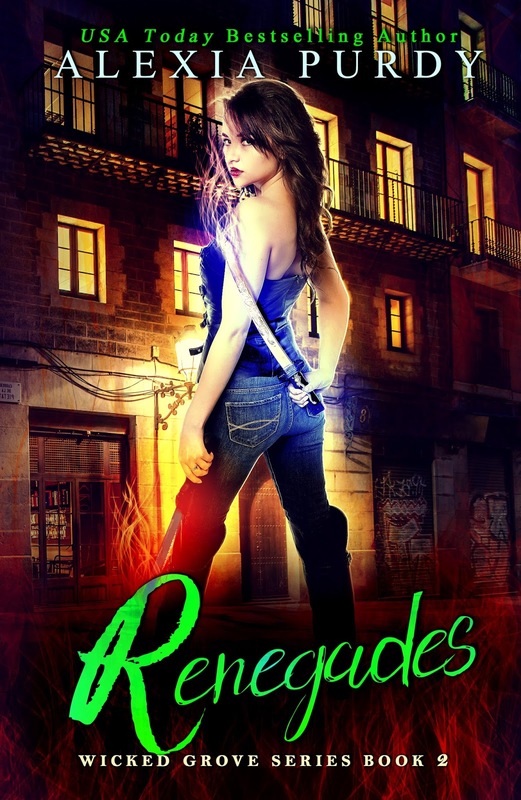 I know you guys are wondering when is Renegades going to release since I ended up cancelling the preorder. Lots of things happened at the end of this year, 2017, that tossed me into a terrible place and I got severely behind on all writing projects. Luckily, I've snapped out of the glum, though with any death in the family, it hits me out of nowhere now and then. Depression is a real thing and the despair can cause a real roadblock on the road to creativity. But, on a brighter note, I'm back at it and working like made to gain the momentum back. I thought you all would love to have a snippet of the book to keep you primed for what's next. I seriously can't wait to get this out for you all. I am aiming for February, but there's no promises. Sorry! As life goes, nothing is guaranteed but surprises are always interesting. This is an unedited version of this chapter. All rights reserved. “You’re kidding, right?” I got to my feet as four of the leaders of the Leagues of Unusual and Supernatural Creatures entered the brownstone I owned with my two brothers, Craig and Jay. This was our sanctuary and my brothers had invited these magicals into our space. Furious wasn’t the word to cover it, nor was I surprised enough to overcome what I was feeling. Shocked. Stunned. Nauseous. Yeah, those fit a bit better. “I don’t like the sound of this,” I mumbled as I sheathed my swords, rolled up my oiling kit and proceeded to stuff them into the broom closet. “This isn’t neutral ground, it’s our sanctuary. This is pushing it.” Clicking the door shut I turned and almost ran into Francesca, the leader of the vampire mafia. She gave me a sordid smile before handing me her coat. “I find your home quite quaint.” Her fangs gleamed for a moment while she let her coat drop unceremoniously into my arms without even asking if I was doing a coat check. Groaning, I tossed her coat into the closet without hanging it. There was no way was I going to caddy for the supernatural leagues. The way they thought humans were beneath them was appalling and I wasn’t going to cater to them whatsoever. Not one bit. If Craig or Jay had a problem with it, they could speak to me directly. Jay followed the group in and turned towards us, heading our way with a determination I didn’t want to know about. So far, this week had been the worst of my life. What was more bad news to add to the pile, right? I pressed my lips into a taut line. Here it comes. “The other leagues couldn’t make it. Scheduling conflicts and some are still making up their minds.” Jay announced. Craig nodded as he glanced toward the group sitting rigid in the living room. “Of course not. I was merely going to suggest that Marcella, the leader of the Unkai underground join us. She is a good friend and mentor to me, you know. She’d be a great buffer for this…. posse.” I stared at four of the leaders of the supernatural world. They were major players, yes, but we needed to consider including the minority groups too. “Gotcha.” I pulled out my cellphone and dialed Marcella’s number by heart. I never kept any numbers in my phone, it was all in my head. Good thing my last encounter with a mind erasing faery clan who wanted to take over the world had left no long-term effects. It’d left a crack in my heart, though. I inhaled sharply, closing my eyes as I leaned on the wall of the kitchen of our modest home. It’d hit me hard to lose Atieran, the faery king’s brother who turned out to be a fake mirrored-soul duplicate of the king himself. I didn’t dare show it; my brothers would call me out on letting myself get too close to someone I was pitted against. It’d been all my fault and I had the scars to prove it. And there was more than just scars that showed off what remained after Atieran’s death. He’d done something to me; not just to my heart, its fascia cracked and torn, but he’d awoken something inside I’d never know existed. “How would I do that?” His eyes gleamed in the flashing strobes overhead. The red emergency lights barely illuminated the hall. I shivered, brushing the thought away as I slid down into one of the dining room chairs Craig had scraped across the wooden floor into the living room. Lost in thought, I felt a cool pair of eyes on me and peered up to find Francesca watching me, her lips slightly upturned while lifting her now full wine glass to salute me. Craig had been busying himself keeping the guests’ whims filled while I sat my arse down like a pampered princess. I caught Craig’s arm as he offered up a tray of biscuits and tea to the others and jumped up to my feet. “Give it here.” I snatched the tray and took it around the room as Jay returned and stood near the entrance of the room. He raised his hands and cleared his throat, capturing the attention of the group in an instant. I had to give it to him, he had presence. Lord help the person who ignored him, supernatural or not. “Thank you all for attending this meeting. I know it was with short notice, but we find ourselves in desperate times.” He inhaled deeply, scanning each participant diligently while taking a centering breath. “My family: Craig, Amy, and I have been banished from the S.R.A. and we are no longer operatives of the Agency since they betrayed our trust and vowed to turn us over to a malevolent faery king. Together, we got away, and Amy successfully diminished the threat. Yet, we remain outcasts. “You’re telling us that all the leagues are in danger?” Francesca lifted an eyebrow, not sounding as concerned as her question would deem her to be. 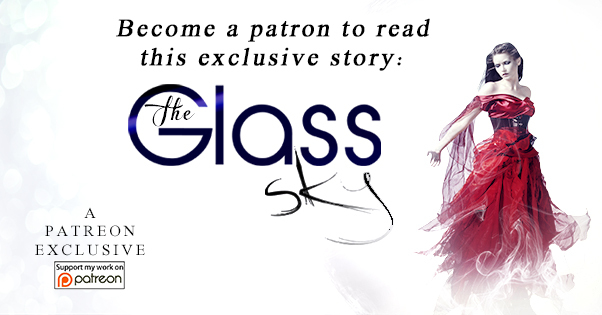 She lifted her wineglass, letting the fluid grace her lips before she replaced it onto the coffee table. Vampires didn’t need to eat or drink; it was all for looks and appearances. I briefly wondered if Craig had procured some blood for her comfort. She winked at me. I frowned at her nonchalance. “We propose a reform of their rules and justifications. An overhaul. Retraining of all agents and new leadership,” I suggested. “A takeover?” Oliver, the leader of the Nephilim perked up. He’d been solemn and quiet the entire time, neither partaking in any drinks or food. I often wondered if they required to eat or drink or it just wasn’t necessary. I swore I heard my own stomach growl, but I ignored it, shifting in my seat. Hayden glanced my way for a moment before a knowing smile graced his lips. Damn these supernaturals with their obscenely good senses. He probably could hear my lungs working. I hated being seated in the same room as people with hyper senses and no personal boundaries. It was akin to naked in the middle of a high school hallway in between classes. I’d give almost anything for someone to get me out of here before I decided to grab a pillow off the sofa and asphyxiate trying to disappear under it. The sooner this meeting ended, the sooner I could head off to let Marcella know what was going on.